Creating an entire SEO strategy takes many steps. With so many different parts of your optimization plan, it’s not uncommon to forget about one or two. But if you’re skipping over the most important parts of optimizing your website, you’re going to struggle to find your content on the top of a results page. On-page SEO is your foundation for creating a perfectly optimized website. If you want to improve your search engine placement, your SEO needs to recognize that each task will benefit you and your business. To prevent yourself from forgetting about some crucial SEO tasks, here is a 10-point checklist of what on-page optimization you need to complete. Your entire SEO strategy will revolve around the content you create. If you’re not creating unique, interesting content from the very beginning, the other SEO tasks you complete won’t bring you any benefit. Create content that does not appear anywhere else on your site or on other similar sites. Content should be long in length and in-depth enough to provide true value to your readers. When your content connects with your reader, your entire SEO strategy will feel a boost. When your URL is difficult for a user to read, it will also be difficult for a search engine crawler to read. If you leave your URL as a string of letters and numbers that don’t make sense to your reader, crawlers will skip over it when looking for relevant content. As one of the first places that a search engine crawler will comb through when looking for content that fits a search, your URL needs to share some information about what the post will contain. If your title is short enough, using the title of your page or post is a great idea. 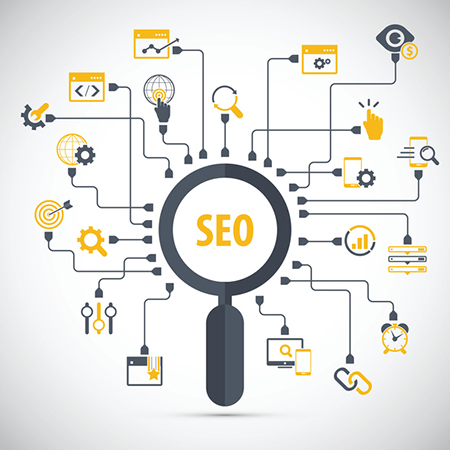 Your title tag is one of the most important pieces of your on-page SEO strategy. Because your title is the first thing that both a search engine crawler and a reader will see, it needs to grab attention and provide the right keywords to fit the search. Include your keywords in the title of your post or page. This can help both readers and crawlers recognize that the content within does fit the context of the search. The sooner you can catch their attention the more results you will have. The meta description of your page is designed to give readers more information about the content on that link. Because your meta description will appear in the results of a search, it needs to be engaging and enticing. However, readers aren’t the only ones who will read the content. Your meta descriptions also need to appeal to search engine crawlers. Be sure that you include your keywords in your description and fully encompass what ideas you explain in your post. Keep it short, thorough, and right to the point. Images are one of the most frequently forgotten about pieces of an SEO strategy. Using images is encouraged for keeping your readers interested, but search engine crawlers can’t identify what is in a picture. In order to get a crawler to understand your images, you need to give it something to read. Be sure that your images are fully optimized by using alt-text and image titles. Both of these items should include relevant keywords and descriptions that talk about the content the image relates to. In order to improve your SEO ranking, you need something called “link juice.” You gain link juice by contributing to the web of links that connects various pages of the internet. The more authoritative your links are the more link juice you can get. Your posts and pages should include outbound links to authoritative and trusted websites that can support the content. These links should point to articles with similar information. Outbound links aren’t the only links you need to add to your posts. You should also have a strong network of inbound links which push your audience to read similar articles on your website. Inbound links can also contribute to your link juice, but less strongly than outbound links. The main purpose of having inbound links throughout your post is to encourage readers to read similar content and provide a pathway for crawlers to move along to other pages on your site. If you’ve done any SEO research, you most likely know that keywords play a major part in where your content is displayed. However, simply placing the right keywords in your content usually isn’t enough to improve your ranking. Your keywords need to be placed in the right locations. Your keywords should appear in your title, headers, and in the first 100 words of your content. Keywords should also be included in the last 100 words of your content, in your meta description, and in your alt tags. We’re used to having just about everything we need right when we need it, especially when it comes to information online. As such an impatient group of people, readers are likely to leave a website when it doesn’t load fast enough. Not only will keeping load times short help improve readership, it will also boost your SEO. Because search engines take into consideration the amount of time your visitors stay on your page, you don’t want to push them away just because your content takes too much time to load. Because keyword placement and research is one of the biggest parts of an SEO strategy, your posts can seem like spam. If you’re using the same keyword over and over, search engines may feel like you’re trying too hard to rank for that specific phrase and punish you for it. LSI (Latent Semantic Indexing) keywords allow you to optimize your pages more naturally. Because they are related to the main keyword while allowing you to phrase the terms differently or use them in a variety of sentences, LSI keywords are important for creating a strong page. With so many different factors that make up your SEO strategy, it’s normal that you may forget about one or two. But if you’re constantly forgetting about important SEO tasks, you’re really going to struggle to find your content at the top of a search engine results page. Keep this 10-point checklist handy the next time you create a post for your website. When you follow each of these steps, you’ll know you’re not forgetting any important SEO factors. Not getting enough traffic to your website? GrowthMode Marketing can help you build and execute an SEO strategy to increase indexed pages to improve traffic volumes. Contact us today for a free consultation.